Live video from exacqVision video management system (VMS) software is linked to events within the Connect ONE interface. 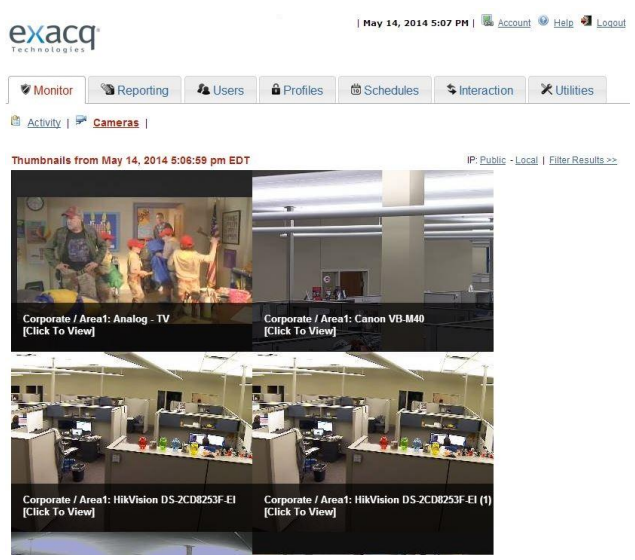 The integration of exacqVision with the Connect ONE interface allows users to view live video associated with events from one or more locations, generate customized reports, set up alarm or event alerts for instant notification of security concerns, manage users and access privileges and more. This integration was tested with exacqVision server 6.0 and uses webAPI.